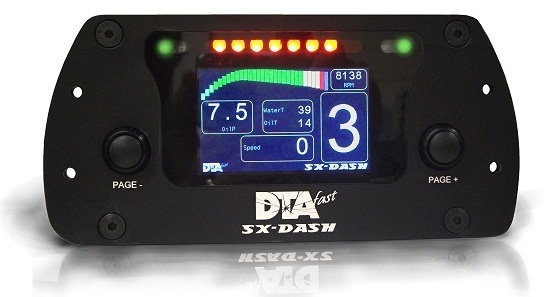 The SX-Dash dashboard is equipped with a 3.0â€ transflective colour screen with a resolution of 420×240 pixels. A transflective screen combines the transmissive method, which uses LED backlighting, with the reflective method which reflects ambient light. This technology is the most suitable for use in full sunlight. At the top, the screen has 8 orange RPM leds and 4 multicolour RGB leds for configurable alerts. 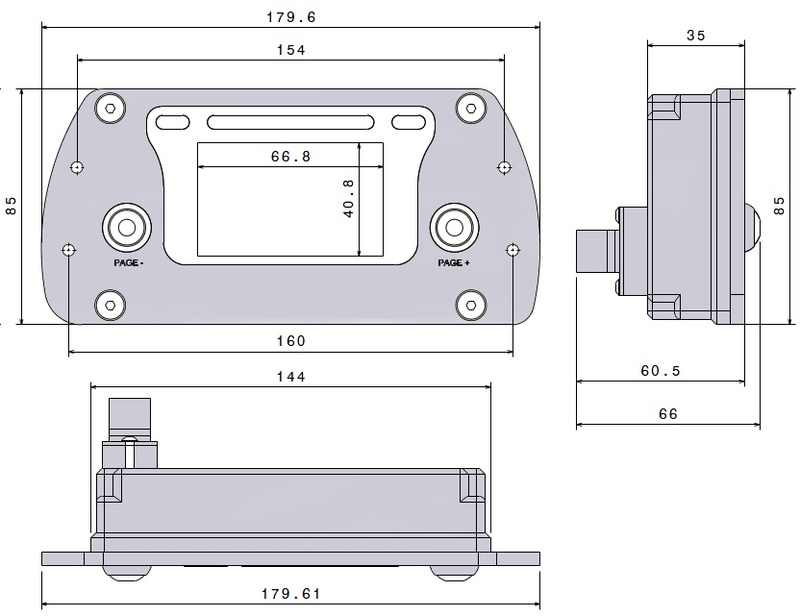 The SX-Dash is equipped with a solid aluminium casings and a military connector. Customise your own screens Define, customise and upload your own screens to the SX-Dash and SX-Wheel with our software application.